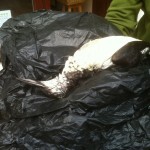 On Monday the Alderney Wildlife Trust recovered a dead guillemot from Braye Harbour in Alderney. This was the first bird recorded in the Channel Islands as being killed, it is believed, by Polyisobutylene (PIB). 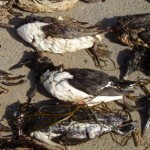 The discovery of this bird took place at almost exactly the same time as it was announced that over 1,000 seabirds had been found washed up dead on the south-west coast of England during the previous seven days, killed by PIB. 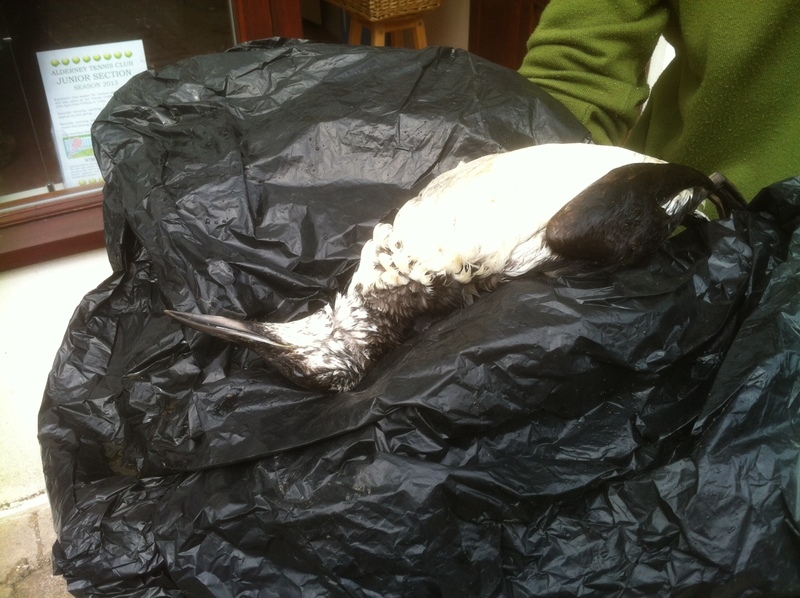 Equally alarming was the news that 19 species had now been affected, with the hundreds of birds found dead and dying along the coast including large numbers of guillemots, and even puffins. Gannets, which were also found amongst the dead, may well include birds which were breeding at the only Channel Gannetries of Les Etacs and Ortac, just off Alderney’s coastline. An earlier incident in February of this year and involving PIB killed hundreds more birds, raising the question as to what the future is for seabirds in the English Channel if these incidents continue to grow in regularity and scale. ‘We are extremely concerned that, though we haven’t seen large numbers of dead and dying wildlife on Channel Island beaches, this is probably down to blind luck and strong southerly winds. If the wind direction had swung to the north it may well have been our islands which would have experienced the horrendous site of hundreds of dead seabirds on our beaches. It’s even more important to recognise that we don’t know as yet how much damage has been done by these discharges! With as many as 2,000 birds having been found dead or dying in the UK in the last few months alone, we have to ask ourselves; how many of these birds would have bred in the Channel Islands? The answer is we simply don’t know and we will not be able to tell until much later in the season. Yet, with the guillemot colony of the Guernsey Humps yet to return this year, it may well already be too late for some of our Channel Islands most special wildlife.. 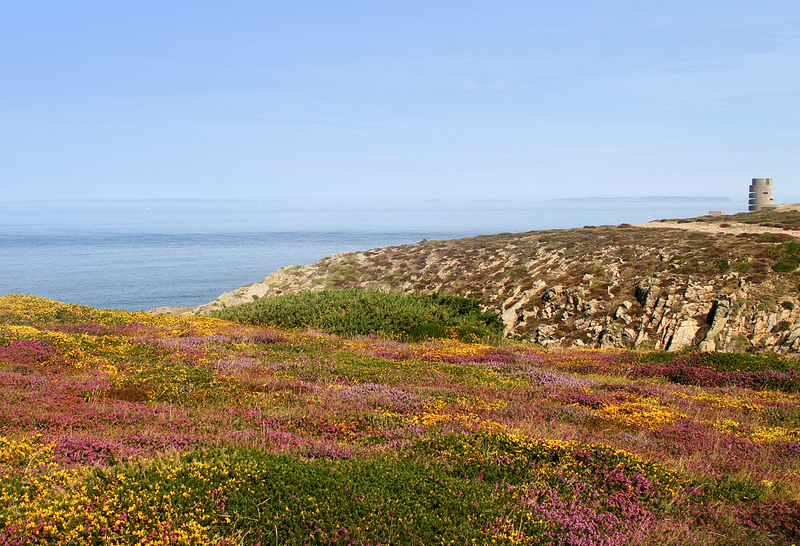 The Alderney Wildlife Trust is calling on the Channel Island Governments to back the growing demand of key UK NGO’s, including The Wildlife Trusts Partnership, to have the International Maritime Organisation (IMO) reclassified PIB to prohibit its dumping at sea. ‘Our marine wildlife is one of the strongest parts of the Channel Island identity. It’s a crucial indicator of the health of our environment and vital for our tourism industry. This incident highlights the need for joint working between the islands to protect our crucial natural resources and prepare a joint response to man-made disasters such as this.